Either you love him or you hate him with the fire of a thousand suns, but the name Renoir tends to evoke strong emotions. That is, for Pierre-Auguste Renoir, at least. This show pins Renoir senior’s pastel-hued paintings with a collection of black-and-white film clips, ceramics, movie posters and costumes from the career of his film director son, Jean Renoir, giving viewers a chance to reconsider their thoughts on the family name. 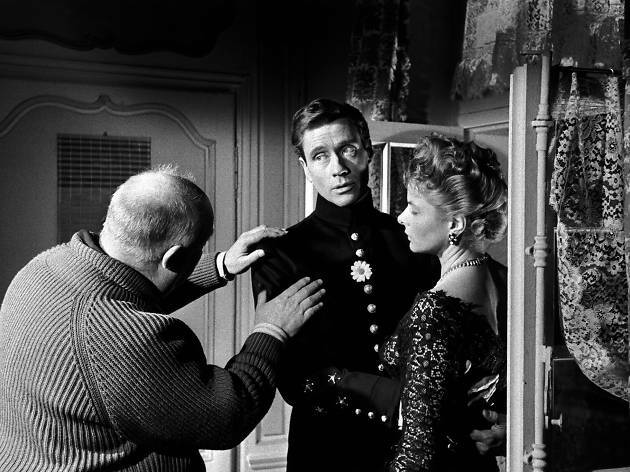 Photo: Jean Renoir directs Ingrid Bergman and Mel Ferrer in French Film Elena and Her Men in 1956.